A GRIP ON SPORTS • It’s getting to be that time of year. You know, when weekends become so busy there is no time to mow the lawn. Or wash the car. Or clean the air ducts. How awful. Read on. • This weekend is something of a test run. There was some high school football last night, but only some. There is some college football today, but only some, and none of it includes local teams. And there is some NFL action, though the most important game, for the Northwest anyway, occurred last night. We’ll try to cover it all. • Yes, the Seahawks lost 21-20 at Minnesota. But that wasn’t the most important thing, was it? Nope the most important thing was the broadcast was impossible to watch. At least where I was. And, according to my Twitter and email mentions, many other places too. For much of the game the feed reminded me of trying to watch video on dial-up back in the day, with it so herky-jerky it almost made you want to hurl something at the screen. I understand it cleared up late but by then I had moved on to the M’s game. But before we leave Minnesota, yesterday’s game, other than the final, immaterial, score, had to be encouraging to Hawk fans. There were encouraging signs at all the trouble spots, from offensive line to the secondary. But before anyone gets too excited, remember the lessons the talking heads imparted when Seattle wasn’t doing all that well. Lessons like no one game plans for preseason games and everything will be different when the lights go on for real. Good or bad, it’s often hard to make judgments based on these practice games. • The one judgment we will make is the M’s are running out of time. They played well yesterday in Phoenix, with the game ball going to Erasmo Ramirez of all people. 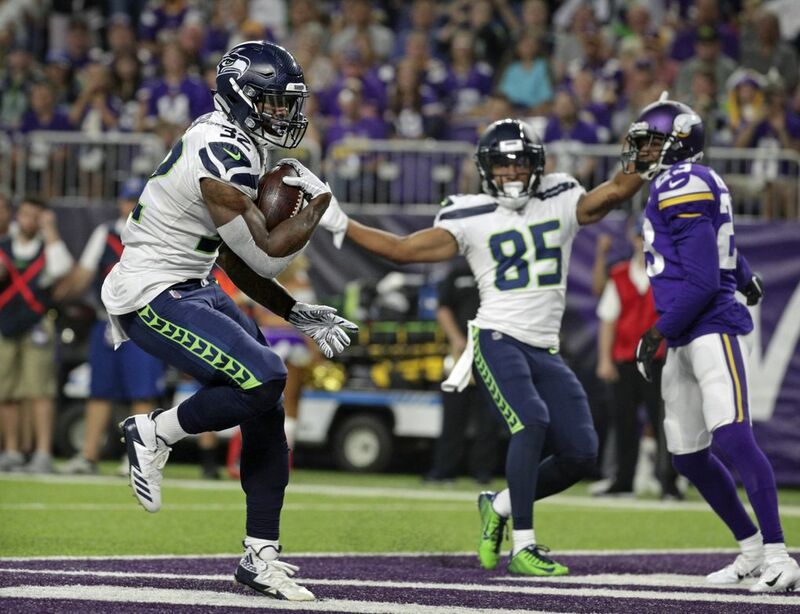 But it may be too late as we are down to the final 33 games of the season and no one above Seattle in the standings seems to be slowing down. Ramirez has been a success story since coming off the disabled list, just another in one of many the M’s have had at times this season. But will such hit-and-miss stories be enough? Wade LeBlanc was really good once, now he can’t miss bats. Marco Gonzales was even better but now he’s having trouble hitting spots. The old Felix Hernandez is missed, as this year’s version has been hit consistently. Last night’s 6-3 victory was, hopefully for those M’s fans still on the bus, another start. • The finish was in Edwin Diaz’s hands. Again. And he came through. Again. It was his 49th save, a club record and erased Fernando Rodney’s name from atop the list, for which we should all be thankful. But not as thankful as we will be when Diaz picks up his 50th save. That will have ramifications in the clubhouse. Good ones. Everyone loves laughing at the manager’s haircut. • I was walking last night and began thinking of the stupid things I did before I turned 21. Instead of counting steps, I started counting my missteps. I quit after I got into double digits. I’m not alone in that, am I? I bring this up not to excuse Rodrick Fisher’s arrest the other night but to invoke not-cast-the-first-stone adage. Yes, Fisher, WSU’s freshman receiver whose story was so well told by Greg Lee and others in the Spokane media while Fisher was at East Valley High, allegedly screwed up. Drinking any amount and getting behind the wheel is potentially as big a mistake as any college kid can make. It compounds when you are yet to reach legal drinking age. Punishment is warranted. Family punishment, team punishment, legal punishment. It will happen. Such an action was not on my list last night, though it might have been because I can’t remember 40 years ago all that well. But I’m pretty confident I, and anyone reading this, did some stuff at that age we regret today. We learned from the mistakes. Even the worst ones. Mainly because others used their experience to help us through. And, hopefully, it helped make our adult life what it is. In my case, I know that’s true. My life has been great, despite those missteps. Here’s wishing those who make a mistake like Fisher did this week experience the same outcome. WSU: Theo Lawson has the particulars from the Fisher story. 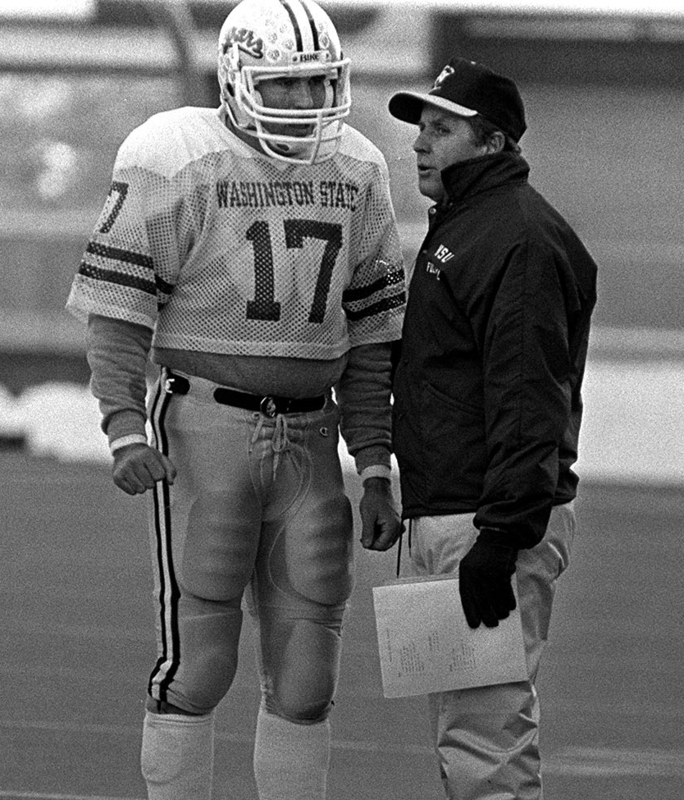 … Former Washington State football coach and radio analyst Jim Walden played his college football at Wyoming. Which is why Larry Weir spoke to him about the Cougars’ season opener in Laramie. It’s the latest Press Box pod. … The Times delves into Peyton Pelluer’s rare sixth year in Pullman. … San Jose State, WSU’s week two opponent, is a few steps from being better. … Elsewhere in the Pac-12, the battle in Atlanta next Saturday will feature two top 10 teams. Washington will be tested by Auburn’s defensive line. … The games have yet to start and the Heisman Trophy is on some folks’ mind. Oregon has a candidate. … Oregon State may have a tough season ahead. … Stanford has a cornerback who can trash talk. In French. Mon dieu. And it has a Heisman candidate. … Colorado has a receiver who just wants to get back on the field. … For some reason, today is the day to delve deeply into Utah coach Kyle Whittingham’s career. … UCLA has a linebacker who worked hard to be where he’s at. … It’s a new era in the desert as Arizona State and Arizona each have new coaches. … The Wildcats are still deciding on their offensive line. … We have one last Urban Meyer column, from Larry Stone, to pass along. Gonzaga: The men’s soccer team opened its season with a draw at Bradley. EWU: Eastern’s schedule isn’t easy. Ryan Collingwood takes a look at it and highlights one player on each team. … New volleyball head coach Leslie Flores-Cloud won her first match at Eastern. … Around the Big Sky, Bobby Hauck’s return to Montana is being felt around the conference. … It isn’t easy to be a college football coach. At Montana State this season, there is another complicating factor. Idaho: The Vandals scrimmaged for more than an hour yesterday and Peter Harriman was there. He has this report. … Jeremy Clevenger picked up his first win as women’s soccer coach. Indians: The bats stayed hot last night at Avista as Spokane picked up a 10-2 win over Salem-Keizer. Dan Thompson has the story. … Elsewhere in the Northwest League, Hillsboro has won eight consecutive games, has the best record in the league and edged Everett 1-0 last night. … Tri-City prevailed over visiting Eugene in 11 innings. Preps: Yes, football is underway. In Idaho at least. Coeur d’Alene rallied late to open its season with a win. … In youth sports news, the Spokane AAU basketball league has changed its name. It’s also accepting registrations. … There was a disturbing story in the prep football ranks yesterday. Golf: It’s Saturday, so Jim Meehan has his column. It focuses on Spokane’s Alex Prugh, who earned his PGA Tour card again this summer. Mariners: James Paxton should be back for the series with Oakland. … Nelson Cruz is expected to play right field tonight. 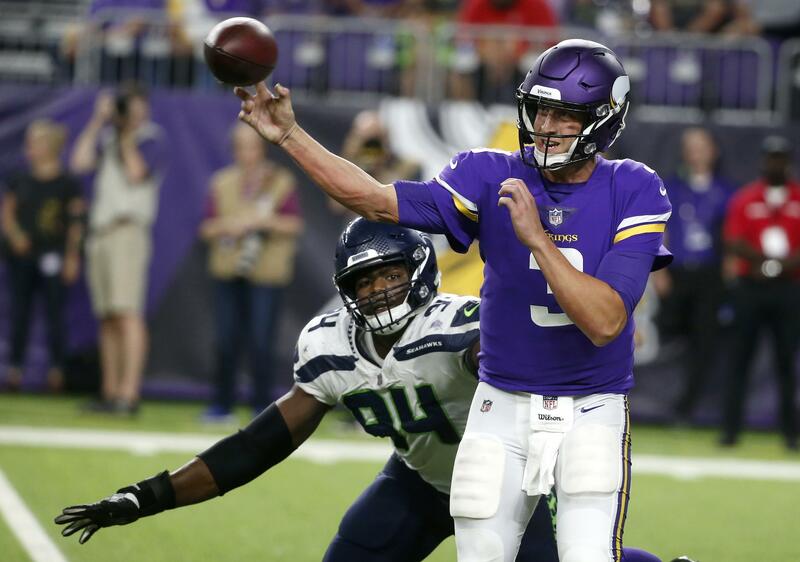 Seahawks: What was your impression of the loss in Minnesota? … There was a competition within the competition. It was at right tackle. Published: Aug. 25, 2018, 8:30 a.m.